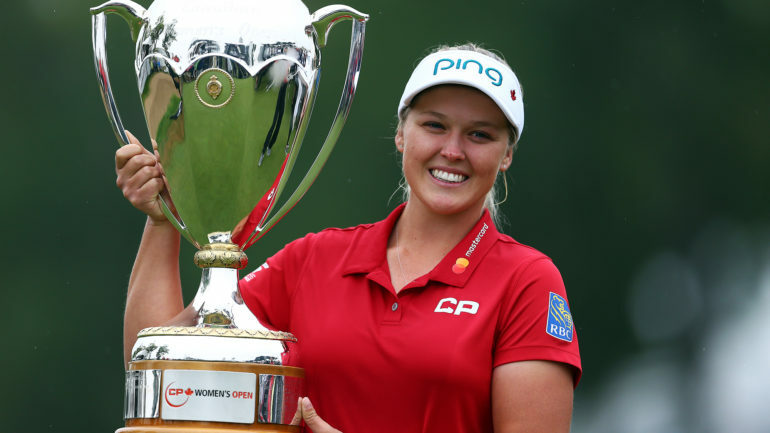 REGINA – Brooke Henderson ended Canada’s long drought at the CP Women’s Open on Sunday, firing a final-round 7-under-par 65 to win the national championship by four strokes. Henderson earned US$337,500 of the $2.25-million purse for her second victory of the season. 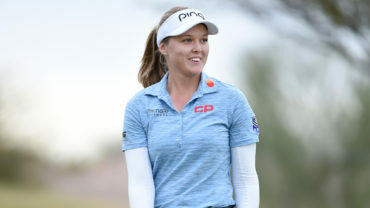 It was her seventh career LPGA Tour win, moving her one behind Sandra Post’s record for all-time victories by a Canadian. CHAMPION! 🇨🇦🏆 @BrookeHendersonGolf becomes the first Canadian to win the #CPWO since 1973. 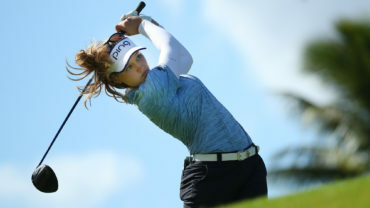 Displaying a steely focus and no sign of nerves, she found the fairway with her opening drive and cleared a greenside bunker with her second shot, sticking the ball 12 feet from the pin. Henderson is one of the biggest hitters on the Tour but her short game can be inconsistent at times. The 20-year-old from Smiths Falls, Ont., set the early tone by sinking the birdie putt for a two-shot lead. After a birdie-bogey run, Henderson showed her form on the par-3, 206-yard eighth hole. 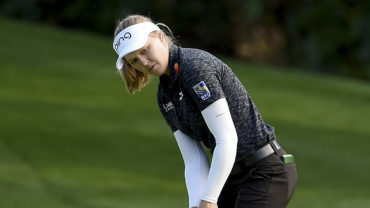 With a challenging pin placement, she elevated her tee shot perfectly to clear a greenside ridge and bunker to leave herself an 18-foot putt. She hit the birdie to move to 16-under for a three-shot cushion on Oh and defending champion Sung Hyun Park of South Korea. Yin hovered a few shots back but Henderson wouldn’t budge. 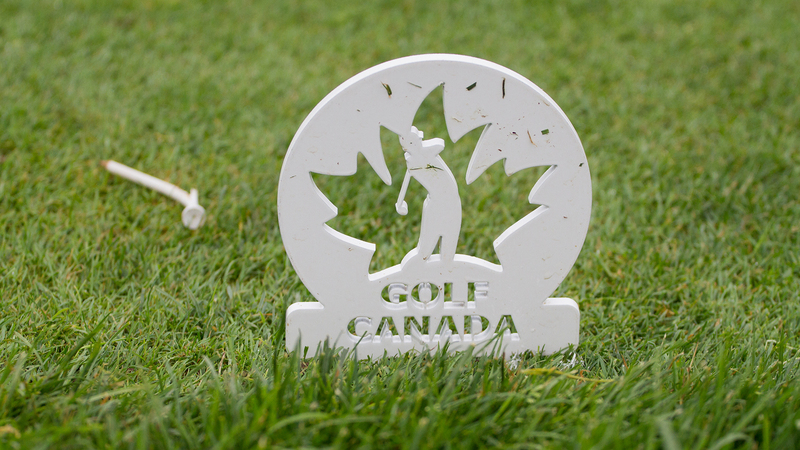 “It’s great for golf in Canada, women’s golf, and it’s great for her too,” Yin said. “I mean, people shouting her name left to right since the first hole, like (since) nine in the morning. I bet you she feels pressure. Hamilton’s Alena Sharp (71) was at 6 under, two shots ahead of Quebec City’s Anne-Catherine Tanguay (73).